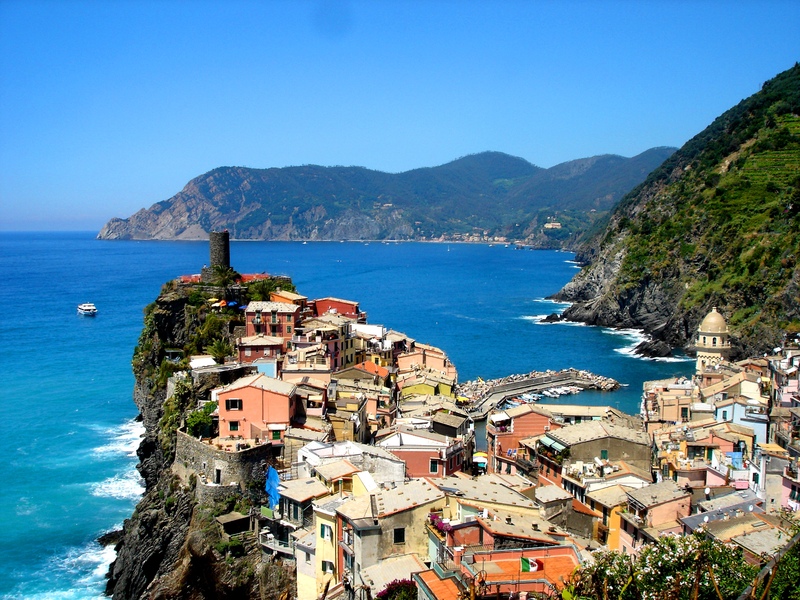 Cinque Terre in July – Try Vertigo! So on the final Sunday of June we drove to the Italian Naval port of La Spezia, with its lovely esplanade gardens and pretty harbour. From here we parked in the underground station car park (1 euro per hour) and took the train to Vernazza. This was a gorgeous summer Sunday and the very frequent trains were full of people going to the beach, however, the journey is short and for the first 5 minutes are underground from the town before emerging transformatively into the coastal town of Riomaggio with the azure blue sea fermenting and foaming refreshingly below the train’s windows.